Finland's low carbon future: is community energy going to be part of it? 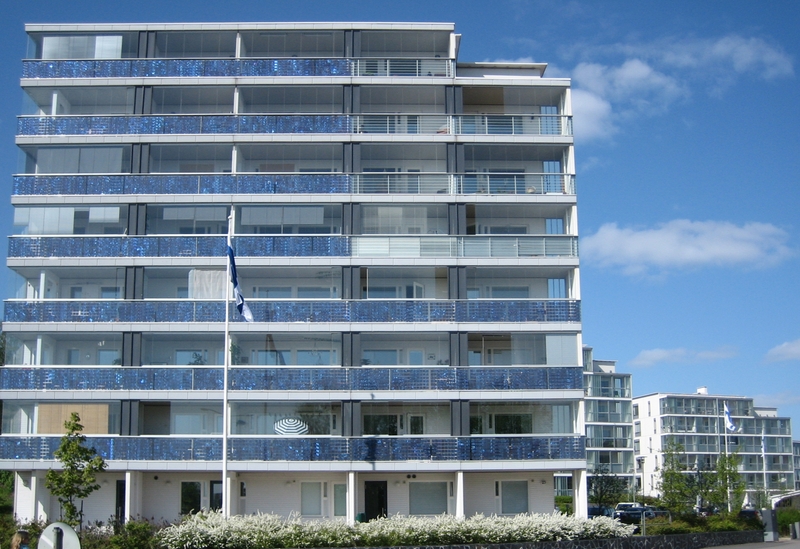 Could community energy be part of Finland’s transition to a low carbon future? In recent years there has been a surge of interest in community energy projects. Countries such as Denmark, Germany and the UK have seen such initiatives flourish, creating new ways of “doing energy”. As the country with the second highest share of renewables in Europe, one might expect to also find Finland among the leaders when it comes to innovative community energy projects. But despite its progressive energy policy, Finland has seen little activity when it comes to community energy initiatives. In a recent paper published in the Journal of Cleaner Production we investigated community energy initiatives in Finland, focusing on factors that could be preventing them from scaling up. Latokartano ecological housing area in Viikki area, Helsinki, Finland. This file is licensed under the Creative Commons Attribution 3.0 Unported license. Community energy is a diverse sector with varied projects, types of origins and approaches. There is no such thing as a typical community energy project. In the UK context, they often mean sustainable energy projects which are initiated, led and developed by a range of civil society actors such as charities, cooperatives and neighbourhood networks. In Finland, community energy is often understood as small-scale local renewable energy. To date, there are only a few community energy projects; and while there is interest to develop such projects on the ground, the country has limited policies that would promote small-scale distributed energy production and citizen participation. To understand the factors that are preventing them from scaling up we interviewed thirteen members of 9 community energy projects and eleven experts involved in the sector. 3) system change projects, where project members wanted to disperse certain new technologies or knowledge into wider society. Our research identified a number of barriers that are impeding the wider expansion of community energy projects in Finland. Networks between local projects that enable the sharing of experiences and learning between projects can play a crucial role in increasing the number of community energy projects. Our research found that on the whole, networks were limited. Perhaps unsurprisingly, the ‘system change’ projects showed the highest degree of networking, learning, and interest in expanding. We also found that the characteristics of community groups, cultural aspects and the specific context in which community energy develops are relevant in the scaling-up process. For example, in Finland, as in the UK, there is a culture of trying to keep up with your neighbours. This could influence the uptake of community energy projects, as people are keen to see what their neighbours are doing and to copy them. Furthermore, concepts such as joint ownership, often used as a model in community energy projects, are relatively rare in Finland. Scaling-up is also limited by issues that go beyond individual projects. These include a lack of a clear joint vision for the sector by key actors and practitioners and a clear sense of what community energy could mean in the Finnish context. There is also a limited number of organisations dedicated to promoting the sector, while an unfavourable policy and regulatory framework add further barriers. The examples we studied show that there is scope for future expansion of community energy in Finland and this could be further aided by dedicated organisations, such as the Finnish Clean Energy Association, that facilitate networking and help share learning. As Finland has continued objectives for a low carbon energy future, citizen-led, local community energy projects could play a part in helping to deliver those. Ruggiero, S., Martiskainen, M. and Onkila, T. (2018) Understanding the scaling-up of community energy niches through strategic niche management theory: Insights from Finland, Journal of Cleaner Production. 170, pp. 581-590. doi: 10.1016/j.jclepro.2017.09.144. This research was part of a wider research project for a PhD thesis by Salvatore Ruggiero and it was carried out with funding from the University of Jyväskylä. The work was also supported by the Centre on Innovation and Energy Demand.